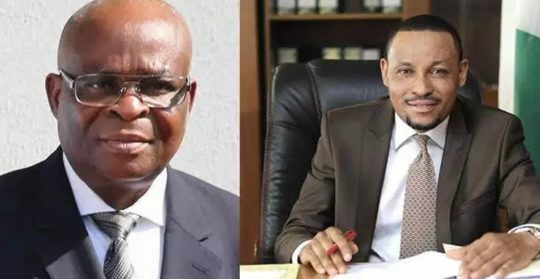 There was mild drama at the Code of Conduct Tribunal (CCT) sitting in Abuja on Monday when a prepared written script was found on one Lawal Olanrewaju Busari, a witness of Walter Onnoghen, the suspended Chief Justice of Nigeria (CJN). 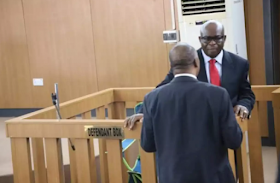 However, when Aliyu Umar, the prosecution counsel, asked him to hand over the paper in his hand to Danladi Umar, the CCT Chairman, it was discovered that the paper contained written answers to questions of the defence counsel — known in Nigerian parlance as 'expo'. Earlier, the court admitted the receipt for the purchase of the asset declaration form of the CJN as evidence D2 and threw out the receipt of the acknowledgement of the declaration form, stating that it was not relevant. Umar faulted the document tendered by the defence, saying it was not relevant to the case.